How about a wreath delivered in carbon-neutral style to the door it'll hang on, or even a whole fresh-cut, locally sourced Christmas tree with low-energy, recyclable LED lights? City Tree Delivery partners with 1% for the Planet to donate money to green charities and with Trees for the Future to plant a tree for each one sold. And it offsets its entire carbon footprint using Terrapass . It also offers tree pickup and recycling. 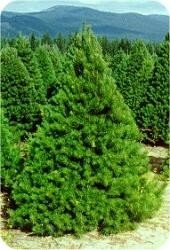 Chicago delivery is included in the price; trees start at $84.95 and run to$149.95 for a nine-foot Scotch Pine. Suburban delivery is available for an additional fee.